Summer wouldn’t be complete without an island gateway that ticks all of the right boxes. Clear blue waters, scorching temperatures, food to tantalise your taste buds and full of mystical allure and history. I pretty much knew I was onto a winner when invited to Samos, Greece. Greece holds a very special place in my heart as there are lots of similaritis to Italy and I always feel at home here. 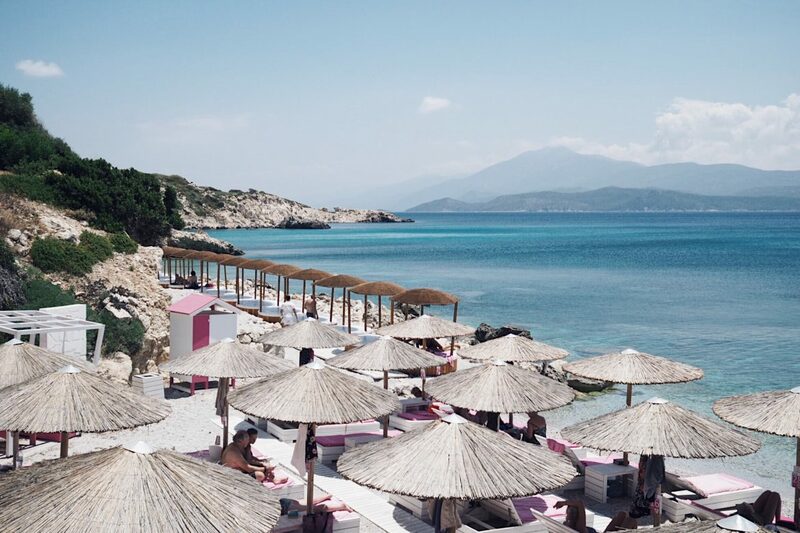 When Discover Greece invited me on a trip to Samos, Greece I simply couldn’t refuse, espcecially when it involved travelling with the gorgeous Julia from Stylonylon, my travel buddy from last year where we ventured to Athens – you can read more about it here. We travelled with Aegean airlines on the Monday late afternoon where our first stopover was Athens. We stayed at the Sofitel Hotel just across the airport. This was super convenient for us and thank goodness for 24h food service as our flight to Samos was super early and I always need breakfast, no matter what time it is! Eventually we made our way to the island, bigger than I had anticipated as I gazingly watched from the window seat while slowly descending into Samos, situated in the East Aegean sea. A taxi ride way and in less than ten minutes we arrived at the Proteas Blu Resort, in Pythagorio. This 5 star adults only resort was our home for the next 4 days and it was pure bliss! Overlooking the sea, it was very calm and quiet, perfect for a romantic getaway or in our case a girls getaway! Rooms are spread out on mediterranean landscaped terraces situated on a natural secluded bay, offering two beautiful private beaches. And if that wasn’t enough we had our own private pool overlooking the mesmerising view. Yes we were thoroughly spoilt indeed. On our first day, after admiring the views on the terrace and enjoying a second breakfast which consisted of fresh fruit and omelette we decided to get pampered and enjoy a half hour back massage at the Adam & Eve spa. Thorughly needed after the travelling and plus I honestly cannot remember the last time I had a massage. In a lovely initmate setting I totally lost my senses and enjoyed some precious me time that I really longed for. The resort comprises of four restaurants, and on our first evening we enjoyed an eight course dinner at the Theory Gourmet restaurant which sits on a terrace overlooking the gorgeous view. With the light breeze keeping us company, we enjoyed the food, and not to mention tasting the local sweet Samos wines (they are known for that!) I highly recommend the dry white Aegean Breeze, goes down a treat. If you are wanting to try out these longer course meals then do bear in mind that they can take up to three hours, but when in the right company it’s nice to totally unwind. The next morning we decided to do a little exploring where we started off at the capital city of Vathy. Snapping away we immersed ourselves in all the cute picturesque side streets. Afterwards we headed to the Temple of Hera and then to a Monastery up in the Pythagorios hills. It was all quite mesmerising and I cannot wait to show you more soon on the blog. After a full on day in the sweltering heat, we chilled at the the hotel’s ThalaSea Boat restaurant for another eight course dinner, but this time comprising of exquisite seafood. I don’t think I have ever had quite so much lobster as that evening! Good food, good wine and great company makes for yet another blissful evening. Espadrilles from net-a-porter, Bag from Woodgrey. Please note that I was invited on this trip by Discover Greece, Proteas Blu Resort, Sofitel Hotel and Aegean Airlines – who have three direct daily flights from London to Athens all year-round and on to Samos as well as more than 30 more Greek destinations. All Photography and views are my own. Photographs of me are by Julia. Ma che meraviglia ? I was talking with a friend about Greece and Samos ? I’ve never been to Greece but it’s definitely on my list of places to visit. The resort looks so wonderful. I’m pinning this for future reference. 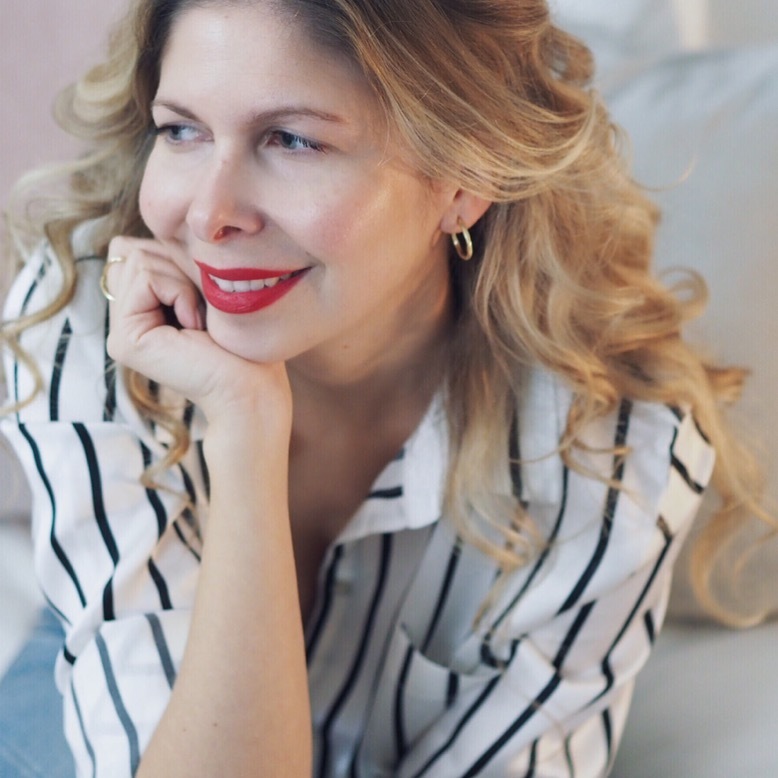 With over 10 years in the Interior design & Social Media world, I have always been involved in the creative field, helping people achieve their dreams in some way. Now having become a Life Coach, I help people on a much deeper level.